Registration has closed for the 2017 Summer Intensive. Learn from professional performers and directors! This workshop is geared toward youth in grades 6-12. ​Curriculum: The workshop will include acting, singing, dance, improv, and technical theater. We will start each day with a dance warmup, vocal warmup and technique, and improv games to get everyone all loosened up! Acting, singing, and dancing will be taught both in a class setting and in a hands-on method, via our rehearsal process. Career Day: Meet working professionals; from Broadway actors, to technicians, to talent agents!. Get a real taste of the industry- what it takes, and how many different paths there can be! Performance: Our workshop participants this summer will also be included in our professional theater company's mainstage musical, "The Wizard of Oz." This will give our young actors the opportunity to work alongside professional actors and technicians, and to really get a full professional theater experience. Rehearsal for The Wizard of Oz will also be a part of the workshop and used as a teaching tool. There will be an audition prior to the workshop start, but it is for placement only. All workshop participants will be included in the show. The audition is a means of getting to know everyone better, so that we can best cast people where they will really shine! While the lead roles will be performed by professional Equity actors, there are plenty of great feature roles, dance and vocal solos, and other onstage opportunities! We truly believe that the best way to learn theater is by doing. Whether you are considering a career in theater or not, a professional show experience offers invaluable lessons in teamwork, creativity, responsibility, and confidence. We know how much young talent is in our area, and we can’t wait to work with you! 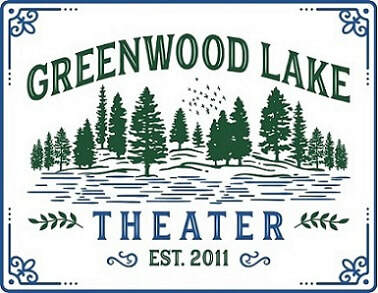 ​Please feel free to contact kweatherford@greenwoodlaketheater.org with any questions. ​We are limiting registration to 30 participants, so that everyone gets more individual attention and has more performance opportunity. ​Registration is a 2 step process. Please fill in with the name of the student that will be attending the workshop. Please give us the best contact email for the student or parent/guardian, if preffered. Please give us the best contact phone number if we need to reach out regarding your registration or payment. Please choose early if you are registering before May 1st. Feel free to include any comments or questions here so we can refer to them when we reach out. Michael Tuck - Director, The Wizard of Oz is so excited to be directing the Wizard Of Oz! Michael is graduate of Millikin University where he achieved his BFA. Michael's directorial debut was at Millikin University when he directed Two Rooms by Lee Blessing. Michael has been a professional actor for 15 years and has worked all over the country. Some of his favorite roles include Tony in West Side Story and Marius in Les Miserables. Other roles would include Chip in Spelling Bee, Laurie in Little Women, Jamie in The Last Five Years, and Abraham in Altar Boyz. Michael is currently based in New York City and remains very active in staged readings and classes. Most recently, he has contributed to the new musical Spot On The Wall and Illa: A Hip Hop Musical, both of which were featured in the New York Musical Theatre Festival. Michael would love to thank his wonderful friends and family for all of their support and Elyse for being the magical human she is. Kevin White - Musical Director, a New York based music director and actor, began his love for music and theater at a very early age. He spent last winter as a guest artist teaching and music directing at Kimball Union Academy in New Hampshire, as well he will be music directing "Mamma Mia" at Northern Stage this spring. Kevin spent the end of 2016 traveling internationally with a show entitled, "Oh What a Night!" A tribute to Frankie Valli and the four seasons. He also spent several years touring internationally with a group called, "The Water-Coolers" a musical sketch comedy show about the workplace, where he served as music director and vocalist. In New York, Kevin serves as music director and vocal coach for many actors. Most recently he served as music director for "Gypsy" at The Gallery Players in Brooklyn, and associate conductor/assistant music director for "Oklahoma!" at the Merry-Go-Round Playhouse in Auburn, NY. He has musically helped create several one-man shows which have played all over NYC. Favorites include "IMperfect," and most recently "36 expressions" where he created a 36 (yes... thirty six) song medley. Before leaving NYC to tour with "Oh What a Night," Kevin spent three years on staff teaching and music directing in the musical theatre conservatory at the New York Film Academy. During his time at NYFA, Kevin taught alongside many of Broadway's top actors, directors and choreographers. Kevin was also on staff teaching at a premier acting school in Brooklyn called "Acting Out!" where he successfully coached numerous elementary and middle school students for auditions to some of New York's famed performing arts schools. As an actor, Kevin spent seven seasons in the resident equity company of The Barn Theatre in Michigan. Favorite roles include: Lonny (ROCK OF AGES), Johnny (AMERICAN IDIOT), Sir Robin (SPAMALOT), Huck (BIG RIVER), Joseph (JOSEPH... TECHNICOLOR DREAMCOAT), Brad (ROCKY HORROR), and Berger (HAIR). At the Barn Theatre, Kevin also served as music director for their famous "Rehearsal Shed Bar Show," a nightly cabaret, where he was able to fine-tune his craft of vocal-arranging. Kevin received a BFA from Millikin University in Illinois, where he music directed their mainstage productions of "Ruthless: The Musical," and "The Spitfire Grill." He is the only student in the university's 110 year history to have music directed at that level while attending the school. 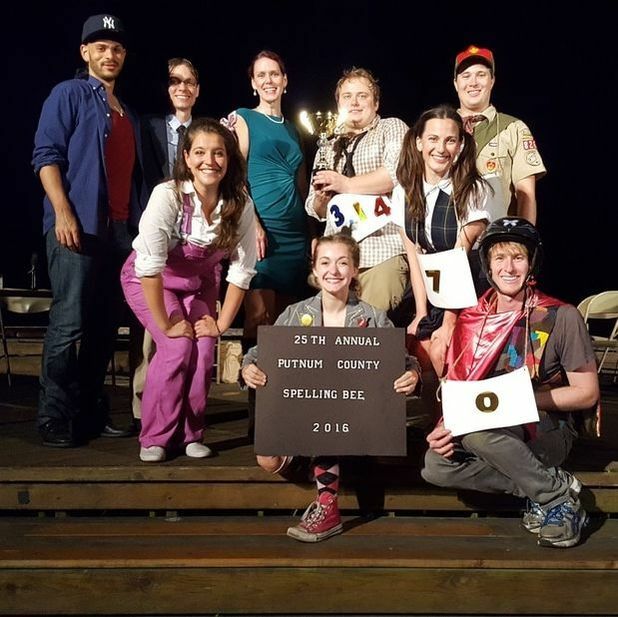 Last, Kevin served as Music Director, orchestrator, and pianist for Greenwood Lake Theatre Company's premier production, "The 25th Annual Putnam County Spelling Bee." Dallyn Brunck - Choreographer is thrilled to be back in Greenwood Lake! She is an actor from Floyds Knobs, Indiana. Dallyn was recently in the national tour of Dr. Seuss’ How the Grinch Stole Christmas and was seen last summer lisping as Logainne in Greenwood Lake Theater’s production of The 25th Annual Putnam County Spelling Bee. Dallyn worked at the Spotlight theatre camp at JCC Louisville. She helped choreograph and teach material to students ages 5 to 12. Camp sessions culminated in fully-staged children’s musicals such as Pirates! the Musical, DinoStars, and A Barnyard Moosical. She received her BFA musical theatre degree from Ball State University and has studied dance from a young age. Dallyn now continues her dance training at Broadway Dance Center. More credits include Cabaret (Sally Bowles- Muncie Civic Theatre), Hair (Jeannie- The Barn Theatre), and Hairspray (Amber- CenterStage Louisville). Dallyn also performed at the legendary Joe’s Pub at the Public Theatre in New York in An Evening of Irving Berlin directed by Sutton Foster. Dallyn now resides in NYC with her boyfriend Kevin. She would like to thank the fabulous Greenwood Lake Theater team for their talent and commitment!